25 teams, comprising 13 male and 12 female teams, have been invited to participate in this year’s handball premier league, scheduled to commence on the 13th of this month at Murtala Square, Kaduna. 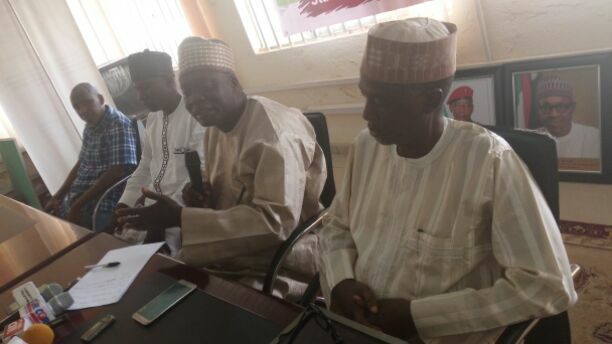 President, Handball Federation of Nigeria (HFN), Alhaji Yusuf Dauda, who revealed this while briefing sports journalists in kaduna yesterday, also added that the championship is having a sponsor who is ready to partner with the federation in the next three year. According to him, only the invited teams will participate in the competition this year while others teams that may want to participate will have to wait till next year when division one will start. Recall, that in the 80s and early 90s, handball league in Nigeria was yearly event. But since the then sponsor, Malta Guineas quit ten years ago, the game has been in comatose. He said, “we have invited 13 male teams and 12 female teams to participate in the competition which will hold between 13th and 24th of this month here in Kaduna. We are trying to bring back the game from comatose with sponsors expressing interest in the championship. “Getting a sponsor for the league at this point in time is a milestone in the history of handball in Nigeria. The league is back again and it is back for better,” he added. The league sponsor, Banjoko Oil and Gas Limited, said its interest in sponsoring the league was not unconnected with its experience in basketball in Nigeria and to engage Nigerian youths in productive venture that can keep them off the street. Chief Executive Officer, Banjoko Oil, Alhaji Yakubu Sulaiman, who spoke through his Administration Officer, Yahaya Zakari Ali, said the company is sponsoring the league for three years after which the idea of continuity will be determined base on success recorded. He did not mention specifically how much they are signing for the league as sponsor but was quick to add that the company has agreed to bear all the expenses that will surface base on recommendations by HFN. Some of the teams to watch include but not limited to Kada team, from Kaduna, Niger United, FRSC, Vipers of Jos, Desert Stars of Yobe among others.